Gourmet Roulette for the Foodie who can't decide. Suprizr is like Pandora + Chat Roulette -- but for food; a whole new way to discover meals you love by radically changing the food ordering experience. Users press a single “Supriz Me” button to have a Mystery Meal delivered to their door within 1 hour for $20. It's like having your favorite waiter in your pocket to decide what you'll eat. Suprizr is like Pandora -- but for food; a whole new way to discover meals you love by radically changing the ordering experience. Users press a single “Supriz Me” button to have a Mystery Meal delivered to their door within 1 hour for $20. It's like having your favorite waiter in your pocket to decide what you'll eat with the added anticipation of being “suprized” with an extravagant meal worth up to $50. Affiliate Revenue: Seamless.com takes a 15-20% fee from the restaurants each time an order is placed. They have an affiliate program which gives 30% on the first order and then 5-10% on the following future orders. Each meal will cost the user $20, however, the user will not always receive a $20 meal. You may receive one that costs $16.75, earning us a $2.25 profit. On the flip side, you may receive a meal worth $22, causing a $2 loss. Suprizr is NOT another food delivery service. 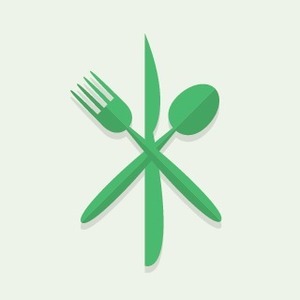 In fact, Suprizer doesn’t deliver food at all, but rather leverages the APIs that Seamless.com and GrubHub.com have built for third party affiliates to drive orders to their sites. All orders placed through Suprizr are fulfilled by an existing, reliable, and scalable business networks. The working mobile app prototype already can handle this function for over 200,000 dining locations. Suprizr has curated hundreds of the top meal combinations by aggregating ratings from online and cross-referencing with local foodies. There are already 200 beta-users waiting to place their first order.